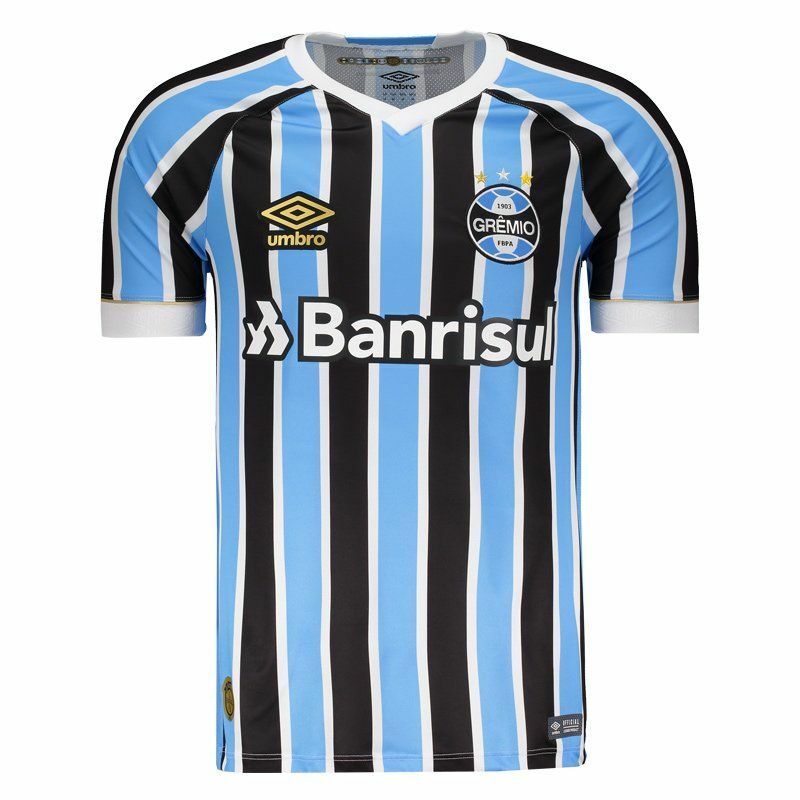 Manufactured by Umbro, the Grêmio titular shirt for 2018, player version, offers name and number customization. The mantle is made of lightweight polyester, featuring small laser holes and mesh screens for added breathability. More info. 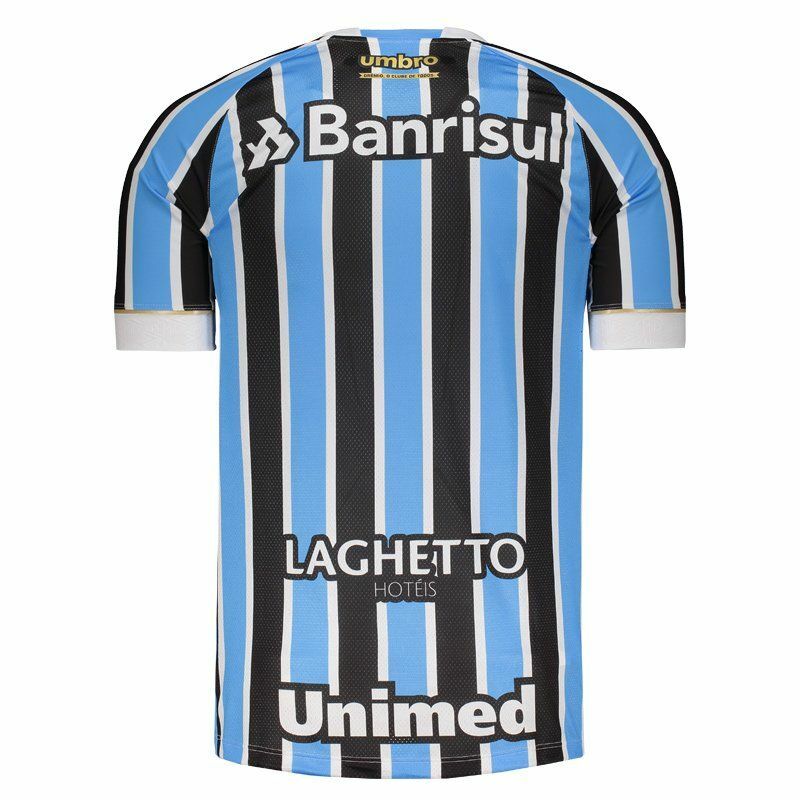 Manufactured by Umbro, the Grêmio Home shirt for 2018, player version, offers name and number customization. The mantle is made of lightweight polyester, featuring small laser holes and mesh screens for added breathability. The design, in turn, consists of the traditional striped, being predominantly blue with black vertical stripes separated by thin white stripes. The club badge is fixed on vinyl on the left side of the chest, as well as the logo of the brand, present on the opposite side. In addition, a special seal can be seen in the lower right and in addition to mentioning the 115 years of the club, brings the first shield of the club stylized with the years 1903 and 2018. 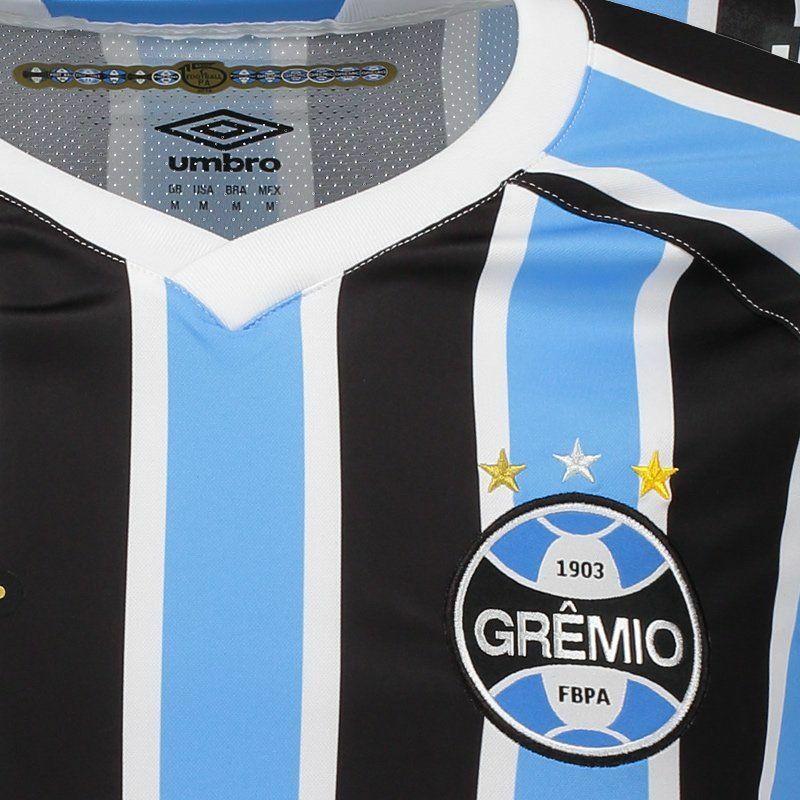 Finally, the uniform has collar V and in the inner part comes another seal that recalls all the badges used by the club in its history. Complementing the details, below the nape of the neck the Umbro logo is present next to the phrase "Guild, the club of all".